ASUS CEO Jerry Shen has recently visited the country to personally announce the availability of ZenFone 2 locally at the Experience 2Morrow press event in Manila. The new smartphone builds on the enthusiastic reception and success of the first-generation ZenFone in the Philippines and all of Southeast Asia. It features a stunning new Zen-inspired design, uncompromising performance, and a premium user experience to bring a new level of empowering luxury to consumers. 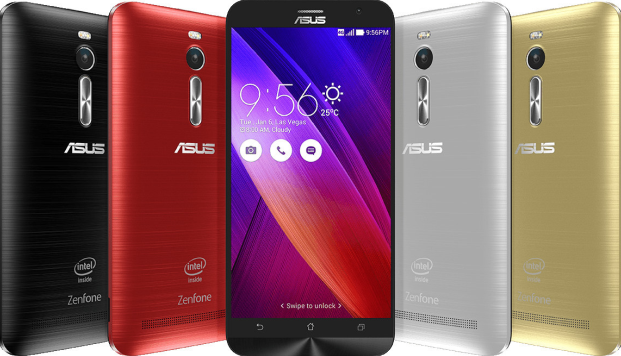 ZenFone 2 is the newest flagship device in the ZenFone family, featuring an all-new design, 13MP PixelMaster camera, and uncompromising performance delivered by a 64-bit Intel Atom™ Z3580 processor with up to 4GB RAM. An Intel LTE-Advanced modem provides ultra-fast and reliable 4G/LTE connectivity. Building on the success of ZenFone and leveraging a quarter-century of engineering accomplishments, the new smartphone provides a wealth of exciting new features and a refined ASUS ZenUI experience to deliver a new level of empowering luxury for everyone. The device has an all-new design that employs iconic Zen design elements—such as a sleek, brushed-metal finish ,and concentric-circle detailing—and introduces new refinements, including a curved case that tapers to a thin 3.9mm at the edges. The exclusive Ergonomic Arc design provides a comfortable, secure grip, and features an intuitively-placed volume-control key on the rear of the phone within easy reach of the user's index finger. The 5.5-inch Full HD IPS+ screen has a large 72% screen-to-body ratio that provides a maximized viewing experience, while reducing ZenFone 2’s overall size. ZenFone 2’s 13MP PixelMaster camera, with its f/2.0 wide-aperture lens, allows users to quickly and easily capture beautiful, high-resolution photos with zero shutter-lag. Camera features, including Low Light mode, Backlight (Super HDR) mode, and Super Resolution mode, ensure incredible photos even in dimly lit situations. The new smartphone has a 3000mAh battery that provides more than enough power to get through the day, and it also features BoostMaster fast-charge technology for dramatically-reduced recharge times. Zenfone 2 is now available in all authorized resellers nationwide. You may contact your local ASUS representative for further information.